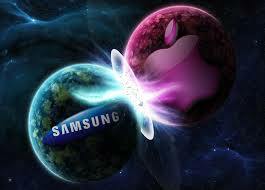 The patent-based spat between Apple Inc. and Samsung Electronics Co., Ltd is coming to a close in California. The jury consists of eight members: four men and four women now has to decide who exactly copied home when it comes to smartphone technology. Both legal teams concluded their cases, each company has accused the other of infringing the patent. Samsung wants $6 million, whereas Apple is seeking $2.2 billion. After a month-long trial, Jury finally began deliberating. According to The Wall Street Journal and Re/code reports, both Apple and Samsung had clever and faithful arguments in their attempts to sway the jury in the case. Samsung attorneys pointed out that Apple Inc. is twisting the words of Samsung company to make the jury conclude the company was interested in copying iPhone. Those patents, however, aren’t even used in the iPhone. This is the main defense against Apple’s arguments. Bill Price, Samsung’s attorney, said that Apple had been talking about the alleged copying and stealing done by Samsung in order to make the jury angry and afterwards justify its damages claim. John Quinn, Samsung’s counsel, thinks his company doesn’t owe Apple Inc. a nickel and that Apple’s $2 billion claim is nothing more than a big number made up to fool the jurors. “They should create products like set-top box, big-screen phone or the watch that have been rumored instead of trying to monopolize this market and suing Samsung”, he suggested. During closing arguments, Bill Price also stated that the Android platform is a sort of the alternative to iOS. He reminded the jury that the only thing Samsung did was what other Android devices and gadgets makers did – to use Google’s Android to compete with the iPhone’s iOS. This was the second major defense argument presented by Samsung’s legal team. Meanwhile, Harold McElhinny, Apple’s attorney, said that Samsung didn’t even have a smartphone before the invention of iPhone, which was the revolutionary product. He also challenged Samsung’s top executors for not being brave enough to face cross-examination from Apple’s legal team. Harold McElhinny added that iPhone was copied even after Samsung had been warned to stop. Bill Lee, Apple’s attorney added that Samsung’s damages claim is unreasonably low and its only reason is to devalue all patents. We are looking forward for the final verdict! Whose side are you one?